Allflexo distributes the range of flexo printing supplies of sister company AV Flexologic. The range of equipment consists of various types and sizes. 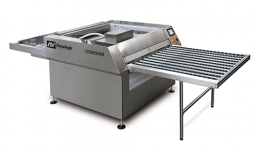 The Cosmoline inline washer and drying unit is one machine of the flexo printing supplies that AllFlexo distributes. It is based on the flat wash out principle. The inline system ensures continuous plate processing.  The plates enter the machine on one side and exits on the opposite side where the plate is dried in-line at the exit. The plate to be processed is attached to a self-adhesive carrier and fed through the processor. A sensor measures the plate length to activate the different stages of the process only when needed. The carbon and unexposed polymer are removed by the oscillating brush while the finest exposed dots remain. A strong water flow keeps the brushes clean. After the washing cycle, the plate is flushed with clean water to remove the final particles. A multi-stage filtration system is integrated to ensure the processing water is continuously cleaned. A micro-filtration system in combination with a centrifugal filter ensures the processing water is continuously cleaned while removing solid polymer particles. Optionally the system can be fitted with exposure/ anti-tack drawers. The unit is equipped with a self-cleaning water membrane unit. With this unit the environmental burdening is kept to an absolute minimum. The membrane unit separates photopolymer from the washout water. The recycled water is re-used without adding any detergent. For high-volume customers, we recommend using an optional centrifugal filtration system to remove the polymer particles in solid form, which can be disposed as household waste. 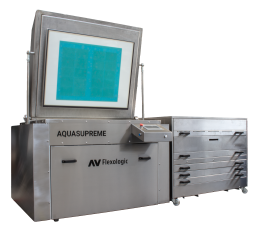 The Aquasuper 50×70 is one of our entry-level flexo printing supplies but complete combi processor for making water washable flexo plates. The maximum plate size that can be processed is 500 x 700 mm. 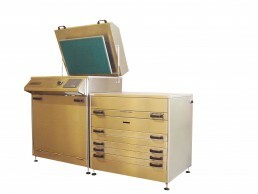 The Aquasuper is a closed system to process water-wash flexographic printing plates. The wash-out water is circa 45 degrees Celsius and 1-2% Cosmosoap needs to be added for best results. The conventional drying temperature is 60 degrees Celsius but adjustable. With the Aquasuper Standard perfect flexo plates can be processed in less than 1 hour.